Neil McCudden has worked at Akubra for more than 30 years. Akubra Hats are an Australian Icon, loved by many including beloved Aussie Hugh Jackman. For 130 years Akubra has been making its famous fur felt hats. The Akubra name is synonymous with the landscape of outback Australia, and our unique hats form an important part of the Australian national uniform. In the modern era Akubra Hats still form an important part of the national culture, being worn by the hard working men and women on the land as well as being presented as national gifts to those visiting dignitaries who want to take a piece of Australia home. 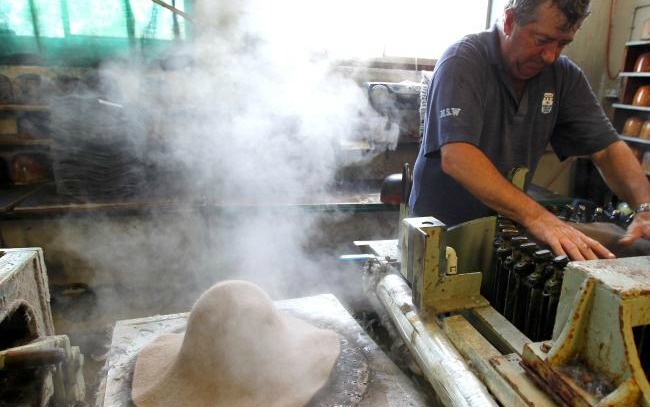 Akubra hats are manufactured in Kempsey.